Welcome back to New Orleans and the witches of the Martin family . Nathalie Boudreau a young psychic is in the middle of a struggle to control the magic erupts . Her destiny lies with Alice Martin who is trapped in the realm illusion. Nathalie is the only one that can save her and set the balance back in place. The characters in this book have surely grown up . They are well written and you really start to care for some of them . Nathalie is one of the main characters and she is always in the place where she is needed at the right time . She comes into her own and we see her fight really hard to help Alice . Who I really loved in the first book . She is trapped and is slowly being drained of her powers by her father . Who wants to come back into the world . Lissette is finally understanding her family and what is going on . But will it be too late for them . She is a character that you just don't know which way she is going to go . In this book we have also seen that the characters have grown and evolved in their magic or the lack of magic in some cases . I truly love this authors writing style , he takes us on a journey through magical world and might scare us a bit along the way . 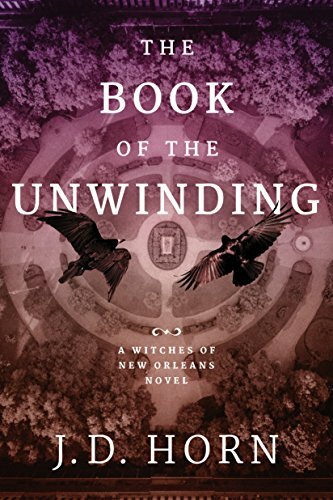 The author uses New Orleans as a character all in its own right . He adds a lot of the lore and magic of the city . I got sucked up in all the magic of this book . 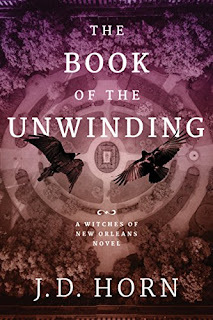 There were a few parts where it felt a little slow and the characters seemed a little stuck Over all I truly enjoyed this book and loved the characters . This book is gritty and you see that all magic isn't good . You will be on the edge of your seat most of the way through this book . So if you like a more dark fantasy book this is the one for you . This can be read as a stand alone but if you really want to get to know the characters you should read King of Blood and Bones . So check it out for your late summer reading list .